Technology is responsible for literally thousands of new words that have been added to our daily lexicon in the last decade. Words like selfie, TL:DR, bingeable, and Bitcoin have all been added to the Merriam-Webster dictionary this year. All these words started somewhere before being included in the dictionary. Usually, new words are invented in a Shakespearean fashion to best describe something that currently there is no word for. If people start using the newly created word, it might one day make it into the dictionary. Here at Hard Fork we have coined – get it? – and come across a handful of words this year that, we think, helped us get our points across. 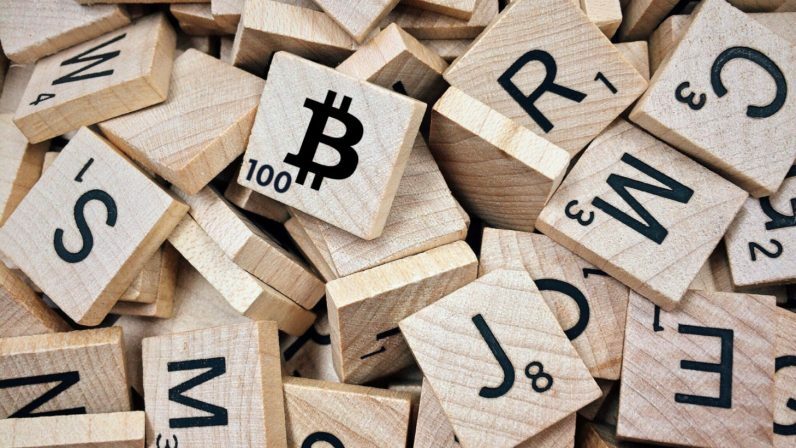 But for the sake of transparency, it is blockchain after all, here is our alternative dictionary of cryptocurrency and blockchain terms invented this year. 1. “Cryptocurrencer“: A general term for someone who is involved in cryptocurrency. They could be a trader, a hodler, a developer, or a hobbyist spectator. 2. “Cryptopreneur“: A portmanteau of the words cryptocurrency and entrepreneur. As this combination would suggest, it’s a “cryptocurrencer” is someone involved in setting up a cryptocurrency or blockchain-based business. (See also: disruptrepreneur). 3. “Cryptonaut/cryptonaught”: Not to be confused with the coin portfolio tracker of the same name, consider this a portmanteau of the words cryptocurrencer and astronaut. It’s a special type of cryptocurrencer, one who explores the lesser visited galaxies of the cryptocurrency industry. It’s the one word we wish we had come up with. 4. “Cryptomonnaies“: Ok, we didn’t actually invent this one, but I am sure we were the first English-language blockchain media outlet to use it. As it turns out, the French don’t have a word for cryptocurrency, so they refer to the digital assets as cryptomonnaies; basically it’s crypto-monies, but French. Tres Bien. 5. “Disruptrepreneur“: Like with “cryptopreneur” this is a mash-up of “disrupt” and “entrepreneur.” Every day we seem to see another blockchain company claiming that it will “disrupt [insert industry here] like never before,” and we felt these people needed a name. 6. (Special mention) “HODL“: What kind of list of cryptocurrency terms would be complete without mentioning hodl? None. It needs no explanation because it was a typo that stuck, hodl means hold. If someone tells you to hodl, they’re telling hold on to your coins instead of spending them right away. Someone who hodls is known as a hodler. Whether you’re a seasoned trader or just a casual hodler, these are the terms you need to be using in 2019. If you do, maybe someday Merriam-Webster will be giving us a call to tell us they made the dictionary… We can dream. Galaxy S10 Will Beat 2018 iPhone X Plus!! !